Centennial Real Estate has unveiled plans for a transformative redevelopment of Hawthorn Mall per RE Journals. The super-regional shopping center located in Vernon Hills will go from a traditional mall into a retail, dining, entertainment and residential mixed-use property. When Sears and Carson's vacated their long term spaces at the mall, Centennial realized that this was an opportunity to redefine the center and expand its trade area. In 2018, a partnership controlled by Centennial purchased both sites in anticipation of the coming redevelopment. 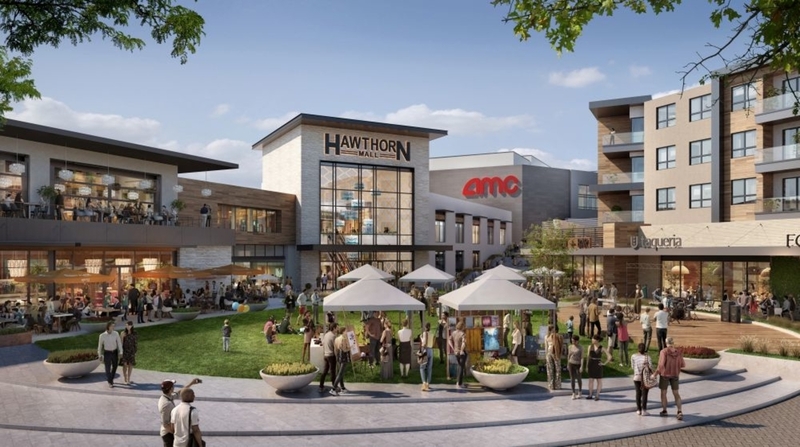 Steven Levin, Centennial's CEO said, "When completed, the design will create an urban sensation in a suburban setting with compelling architectural elements that the residents of Vernon Hills will be proud to have in their village. With this redevelopment, Cenennial is making a significant investment in the community as well as the center. This project will be the largest capital investment in the center since its grand opeing almost a half century ago." "The redevelopment will be both comprehensive and transformative, altering the entire landscape of the center and offering local residents a live-work-play environment that rivals the most vibrant mixed-use destinations in the nation." According to DH Business Ledger, there will also be 450 luxury multi-family units included in the grand plan along with a park-like outdoor gathering place for year-round events and activities. The property is located northwest of Milwaukee Avenue (Route 21) and Townline Road (Route 60). The demolition of the former Sears and Carson Pirie Scott anchor spots are on the agenda. The developer controls about 64 acres of the mall's land area. Centennial already is in the village review process for what are expected to be three restaurants outside of the mall between Ring Drive and Milwaukee Avenue. This concept was informally approved by village officials in November. "When completed, the design will create an urban sensation in a suburban setting with compelling architectural elements that the residents of Vernon Hills will be proud to have in their village. With this redevelopment, Cenennial is making a significant investment in the community as well as the center. This project will be the largest capital investment in the center since its grand opening almost a half century ago." Centennial presented the next phase of its redevelopment plan during the informal work session portion of the village board meeting a few days ago. Immediately preceding the Centennial presentation, the board will review a draft of a retail market study and store strategy report prepared for the village by Melaniphy and Associates The objective of that study is to prepare a strategy for the development or redevelopment of three major sites in town including Hawthorn Mall. The developer has also stated that Centennial will seek economic incentives from the village to be described in detail at another time. 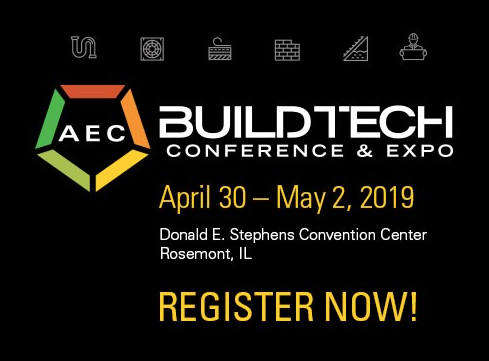 Looking for Details on all current Mixed-Use Projects in the Chicago area? Need the details on a specific Project or Company? 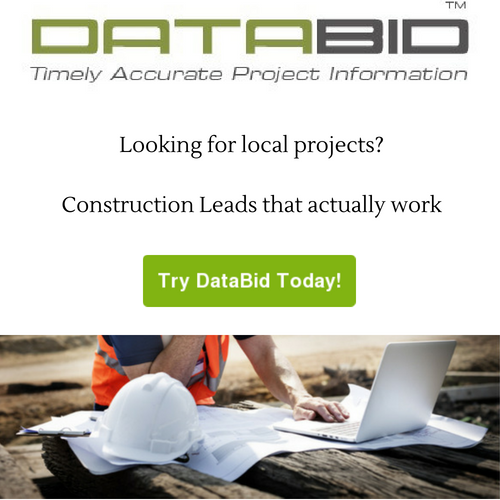 See how DataBid can help your company find projects and increase your odds of winning. "With DataBid, it’s easy to see all the information you care about in one place and use it to make faster better informed decisions." Kevin Bermingham President - Electric Group Ltd.